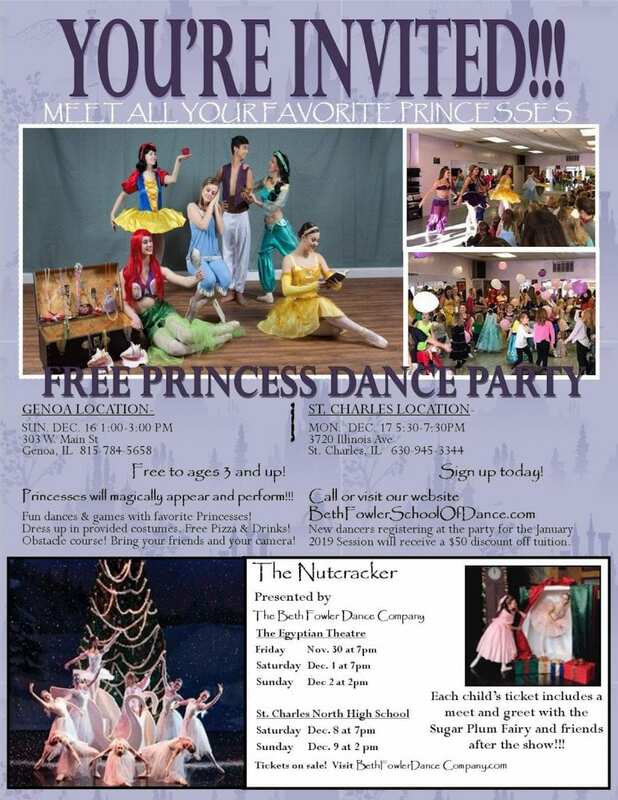 Plan to come to our FREE Princess Dance Party! 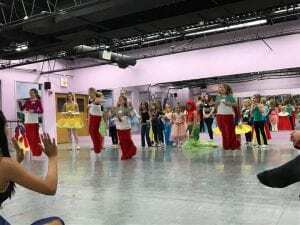 Click Here to Enroll St. Charles location party – Monday, December 17th, 2018 from 5:30pm-7:30pm. 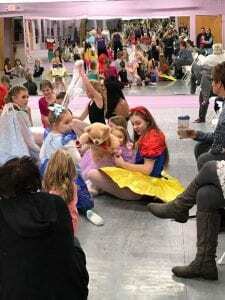 You will want to be there when Prince Charming calls the dance studio in search of Cinderella who seems to be missing! 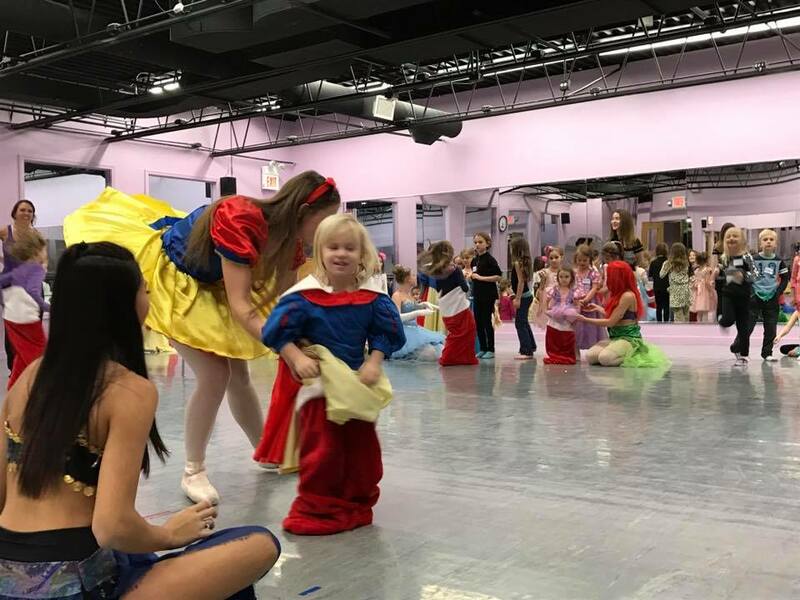 Help us find Cinderella and many other of your favorite Princesses! 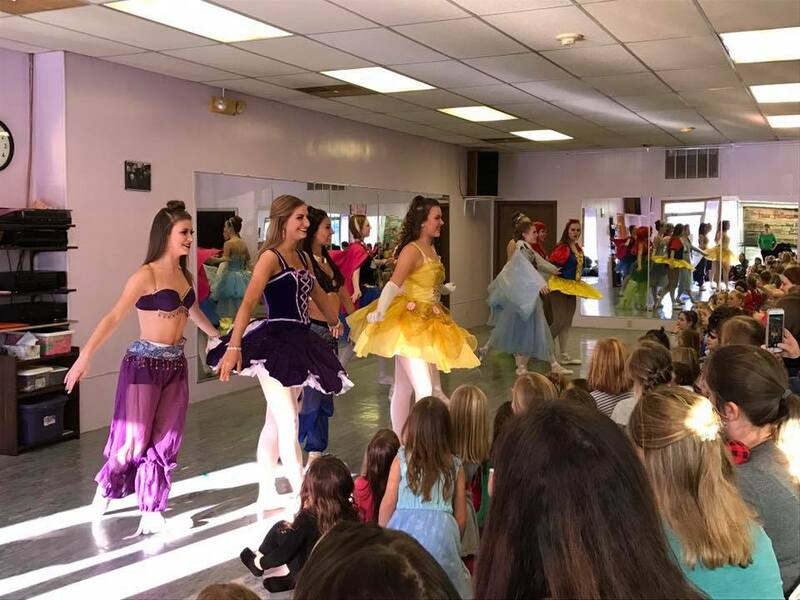 Our guests will be amazed when the Princesses finally make their magically appearance and perform to each of their theme songs! 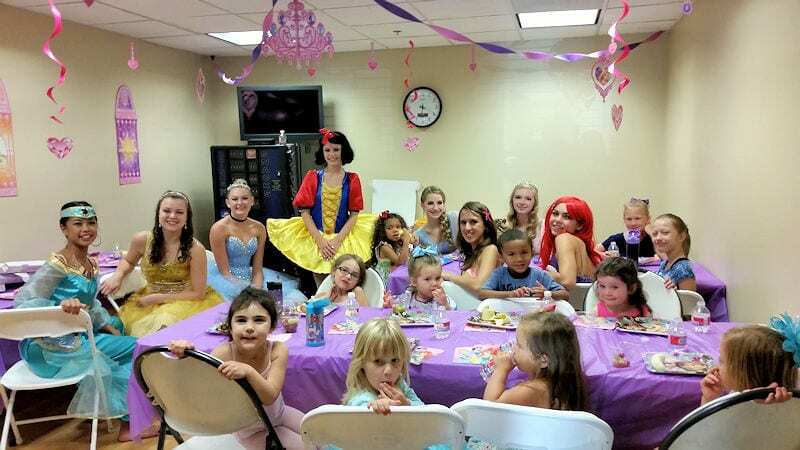 After the princesses perform and invite our young guests to join them in a balloon dance, the Princesses will play many fun games with them, open giant prize balls, play dress up in provided princess costumes, go through a large obstacle course, then enjoy provided pizza, fruit, and drinks! Please register ahead of time on our website so we can make sure to provide enough of everything for our guests! Come join us for this magical event! You will be happy you did! 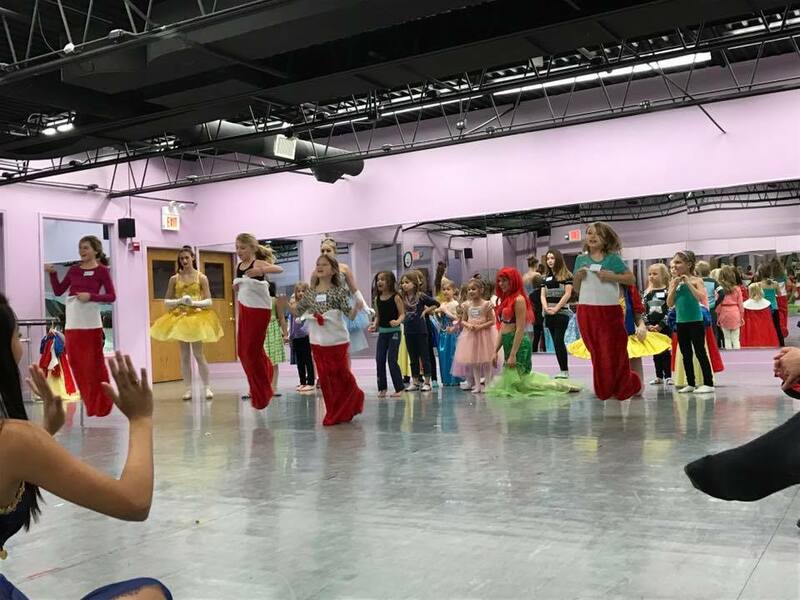 Learn Fun Dances & Games with your Favorite Princesses! Dress Up! Our Costume closets are open! 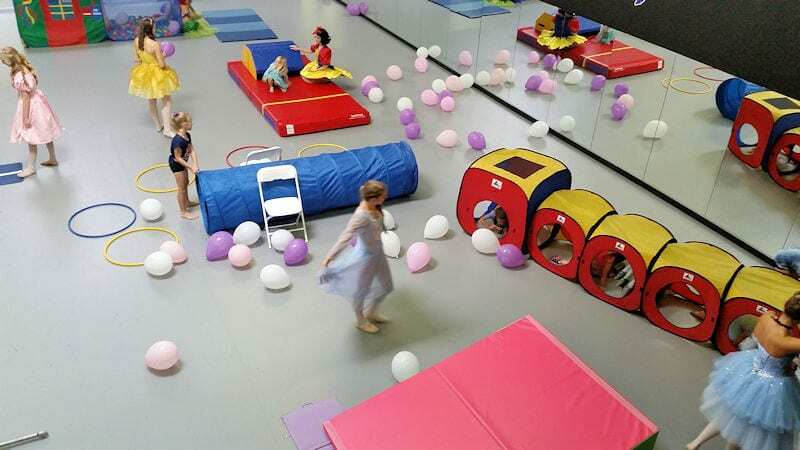 Do our Fun Obstacle Course! Sign up today at link above! Click on an image below for a larger view of last year’s party!